Koolen-Wijkstra, W.M, Grünwald, P.D, & van Erven, T.A.L. (2016). 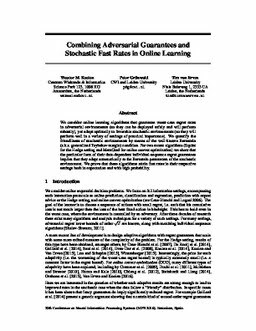 Combining adversarial guarantees and stochastic fast rates in online learning. In Advances in Neural Information Processing Systems (pp. 4457–4465).